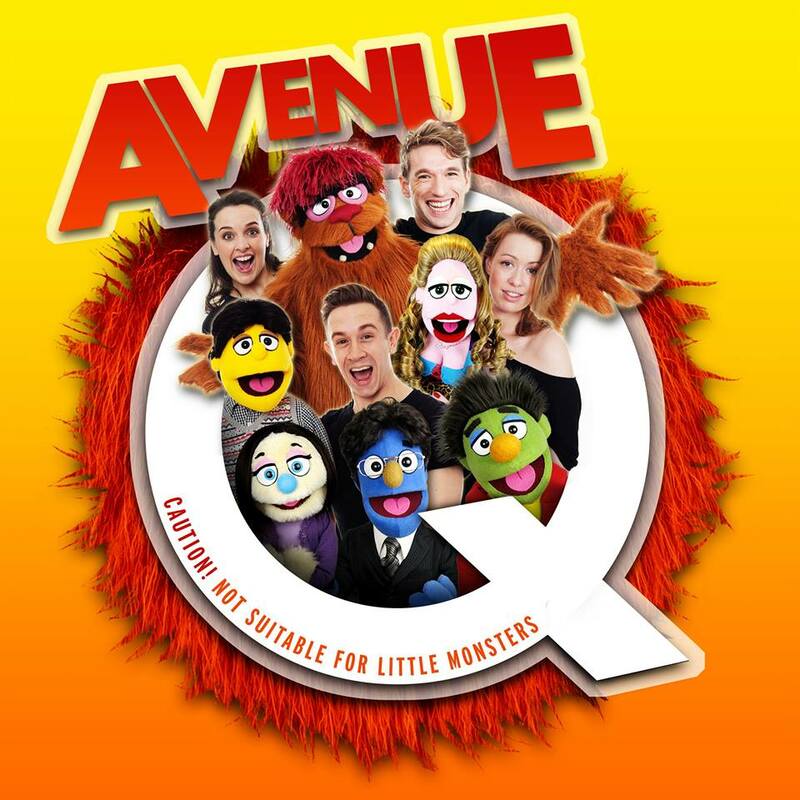 A smash hit on Broadway, in the West End and most recently in a critically-acclaimed 2014 UK Tour, award-winning comedy musical Avenue Q will bringing a host of fuzzy friends to GRIMSBY, playing at GRIMSBY AUDITORIUM from TUE 3 to SAT 7 NOVEMBER. On sale now. Theatre credits include: Sally in Girlfriends (Union Theatre), Serena Katz in Fame (UK tour), Twyla in When Midnight Strikes (Upstairs at the Gatehouse); Ensemble & understudy Sister Mary Roberts in Sister Act (UK Tour); Tribe in Hair (European Tour); Princess Jasmine in Aladdin (Sheffield Lyceum & Towngate Theatre) and Mary in A Human Comedy (Young Vic). Theatre includes: Wife Begins at Forty (Yvonne Arnaud Theatre), Loserville (West Yorkshire Playhouse and West End), Streets (Hackney Empire), The Light Princess (National Theatre) and Rumpelstiltskin (Theatre Royal Bath). Film includes: Zombie Musical (BAFTA New Talent Award). Theatre includes: Avenue Q (UK Tour), The Man Who Had All The Luck (Sell a Door), The Road to Qatar (Edinburgh Fringe), The Wonderful World of Mr E! (Dizzy O’Dare), Double Falsehood (MokitaGrit) and The American Clock (Steam Industry). Theatre includes: Princess in Aladdin (Belgrade Theatre), Marcy Park in The 25th Annual Putnam Country Spelling Bee (UK Tour), Avenue Q (No. 1 UK Tour), Lia’s Guide to Winning the Lottery (Perfect Pitch workshop), Cinderella (Crewe Lyceum); The Importance of Being Earnest (Tour de Force) and The Merry Widow, Eugene Onegin and Madame Butterfly (Opera Holland Park). Theatre includes Hairspray (Wales), Avenue Q (UK Tour), Choices (Kids Company/Criterion Theatre), SOLD (Edinburgh Festival). Film includes: Good Night (BAFTA Award nominated, Muriel D’Ansembourg). Theatre includes: Avenue Q (UK Tour and Hong Kong); Seussical (West End); Evita (UK/International Tour); Thirteen Days – The Musical Arcola Theatre), Dancing Queen (UK/International Tour), Kiss Me Kate (UK Tour); Just So (European Premiere) and Godspell (Cannizaro Park, London). Theatre includes: Miracle on 34th Street (Pitlochry Festival Theatre), Scooby Doo Live: The Mystery of the Pyramid (UK Tour), Company (Edinburgh Fringe Festival) and Towards the Moon (Edinburgh Fringe Festival). Theatre includes The Little Mermaid (Dugdale Centre), Cinderella and Beauty and the Beast (The Radlett Centre), Mods and Rox (New Wolsey Theatre) and Sleeping Beauty (Beck Theatre).